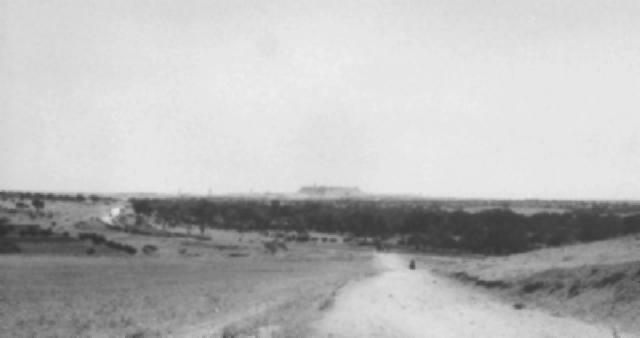 The road leading to Aleppo with the citadel in the distance. 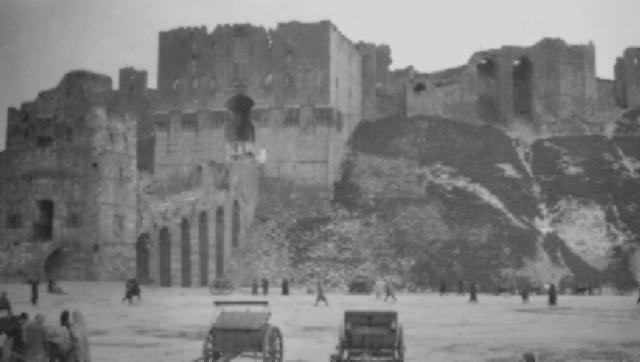 A few weeks after the Liberation of Damascus, 1 October 1918, the British Commander, Sir Edmund Allenby continued a more cautious advance north. 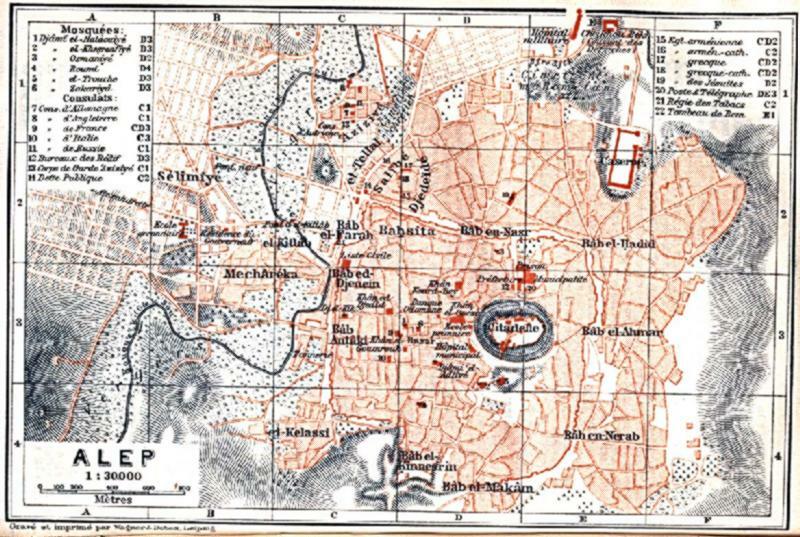 At first he wished to use the men of the Australian Mounted Division immediately after Damascus fell but the Division was stricken with illness making the formation virtually inoperative for a few weeks. In its place he sent the 5th Mounted Division supported by auxiliaries from the Northern Arab Army. The Australian contingent included the 1st Australian Armoured Car Section which travelled as the vanguard of the column. After a few inconclusive skirmishes, the Turkish forces withdrew from Aleppo leaving it to the Allied forces to enter without opposition on 26 October 1918. 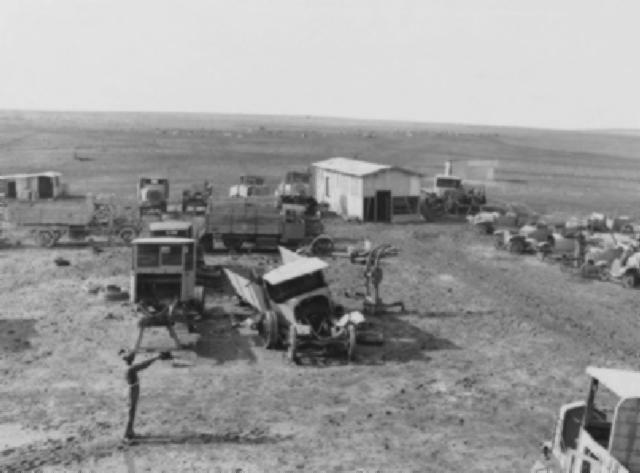 The auxiliaries from the Northern Arab Army took this as an opportunity to loot the city as had been done in Damascus but this time the 1st Australian Armoured Car Section was employed to suppress the outbreak of lawlessness. Subsequent to the capture, the Allied forces moved north in an advance to Mouslimmiye, where Mustafa Kemal (now in command of the Yıldırım Army Group) had rallied some men under XXII Corps HQ. Kemal held his positions until 31 October, when hostilities ceased following the signing of the Armistice of Mudros. Destroyed German vehicles abandoned 10 km north of Aleppo. The Roll of Honour contains the names of all the men known to have given their lives in service of Australia during the Capture of Aleppo, Syria, 26 October 1918.